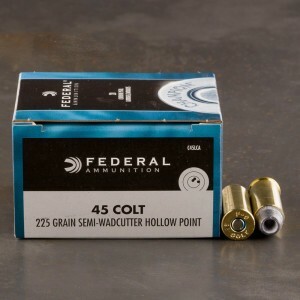 45 Long Colt Wadcutter ammunition is nothing new, it’s been a chosen round for competition shooting for decades. Wadcutter ammunition does have an odd appearance for those who have never seen it. The bullet is submerged into the case and is completely flat. 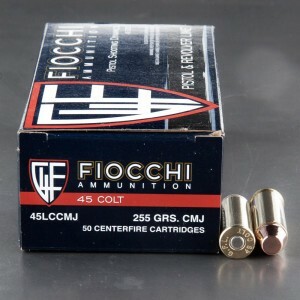 The design and the namesake of the round comes from the fact the flat front punches a perfect holes in paper targets. These perfect holes make scoring much easier for competitions where a fraction of an inch can make all the difference. Wadcutters are often downloaded to make them more controllable and easier to handle. Wadcutter ammunition is extremely accurate and perfect for competition.